E3 takes place next month and all eyes will be on Microsoft... and Sony... and a host of other big names in the gaming industry. Depending on whom you ask, the Redmond-based company may unveil a new version of its Xbox One console and a new streaming device… or maybe there are two new Xbox One consoles… or maybe two streaming sticks... or maybe nothing significant at all (unlikely). 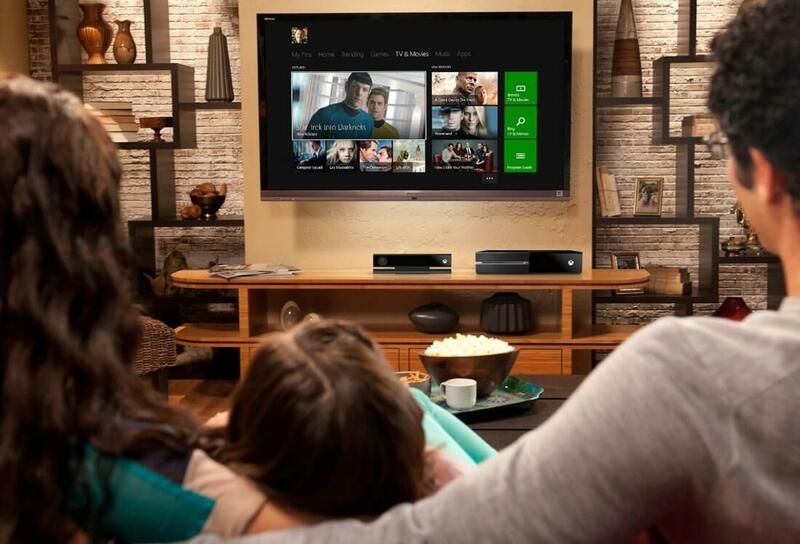 The Verge, per sources familiar with the matter, says Microsoft is planning to unveil a new Xbox streaming device at E3 (Brad Sams from Petri claims two streaming devices are in the works). The device will reportedly function as a basic streaming stick for Xbox digital content and may even allow users to stream Xbox One games from a main console – say, in the living room – to another television elsewhere in the home. Sams, speculating on the other device, thinks it may be the more advanced of the two. As the publication points out, Microsoft originally planned two SKUs for the Xbox One – the second of which would have been a more TV-focused device which may have served as the inspiration for this new device. If Sams is correct, the second device would allow users to access universal apps and games from the Windows Store, furthering Microsoft’s Windows 10 ambitions. It probably won’t be able to run high-end games but casual titles would be fair game (no pun intended). It may even be able to stream games from an Xbox One to another TV on a local network, much like the other rumored device. Meanwhile, sources reportedly familiar with the matter tell Kotaku that Microsoft is working on two new Xbox One variants. The first is said to be a cheaper, more compact version of the existing console that will arrive by the end of the year. This model may ship with a 2TB hard drive, twice as much storage as Microsoft’s current capacity leader, and is expected to be announced at E3 in June. The other console, codenamed Scorpio, won’t arrive until sometime next year. It’ll reportedly pack a more powerful GPU that’ll technically be capable of powering the Oculus Rift. Microsoft is said to be actively pursuing a partnership with the Facebook-owned company. This certainly seems plausible as Microsoft doesn't currently have a known virtual reality strategy (HoloLens technically doesn't count as that's augmented reality). Kotaku says these two devices are part of a larger push at Microsoft known as Project Helix. As the name suggests, the eventual goal of Project Helix is to combine Xbox and Windows – a strategy that isn’t exactly a secret. Interestingly enough, Kotaku sources say Microsoft is moving forward with an iterative approach to its game console. Instead of releasing a new console every five to eight years, Microsoft wants to release incremental models on a more frequent basis with games that are both forward and backward compatible with consoles and Windows 10. As always, keep in mind that this is all rumor and speculation at this point. Microsoft will host its Xbox E3 press conference at 9:30 a.m. PDT on June 13. MS I hope will plan for a gpu capable of 4k gaming? If they don't that will be a HUGE mistake. Just look at all the negative press MS got when Sony PS4 could display 1080p and the XBONE was only 960p or some scaled variant of 16:9 for multiplatform games. It's time to stop buying the cheap stuff MS.
No wonder Oculus has been trying to close off their platform and make it more similar to consoles. 4k is incredibly demanding. Even the highest end GPU today can't run 4k perfectly. When you are ready to pay $1500 instead of $399 you'd be closer to obtaining it but not quite there yet, as even the soon to be released GTX 1080P ($699) can not sustain 60fps on every game out there. Even if such an xbox one model existed, it wouldn't sell very well, not very many people are going to drop that kind of $$$ on a console. Reehahs and toxicfiend like this. I have PC ps4 and xb1 (oh and still my 360) which I rate a better console than the xb1 for ease of use and the ps4 is so much better as well and that kills me to say about the sony product but of course pc is so much better than all of of them.But here in Australia it is also much dearer than a console is to buy so lets hope that sony and microsoft get their acts together with what ever they are doing. You do realize that both MS and Sony could want 16k capable consoles but it's up to AMD to deliver the hardware right? 4 times better gpu, I doubt that. But what is worrying me is the idea of 2017. That will give Sony a long headstart with the Neo. MS bettet have something else in mind or we will have only one dominant console!